Above are a couple more photos from the launch of the African Chapter of the Commanderie de Bordeaux which took place recently at La Motte. 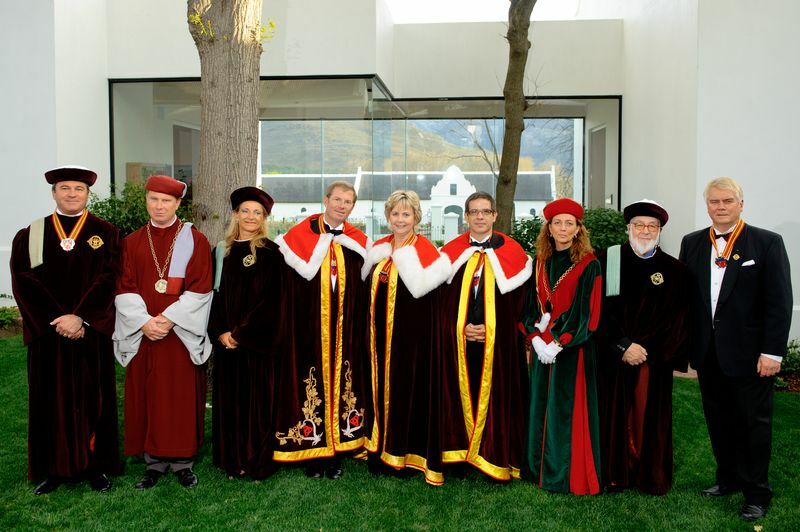 The top photo shows members of the Grand Conseil du Vin de Bordeaux with the newly inducted Maître of the Commanderie du Bordeaux Afrique du Sud, Hanneli Rupert-Koegelenberg in the middle next to Conseilleur d’Honneur Emmanuel Cruse of Château d’Issan and Commandeur Fondateur Tinus van Niekerk on the far right. The photo below is of me being inducted into the Commanderie de Bordeaux.